Seoul plows a lone furrow as the only Korean track hosting live racing this weekend, with Busan and Jeju taking a week’s break. And for the first time in about ten years, there is racing in the capital on Friday in order to make up for the card that was lost to monsoon rain earlier this month. That Friday card sees a pair of class 1 contests while Saturday also has some high-class action. 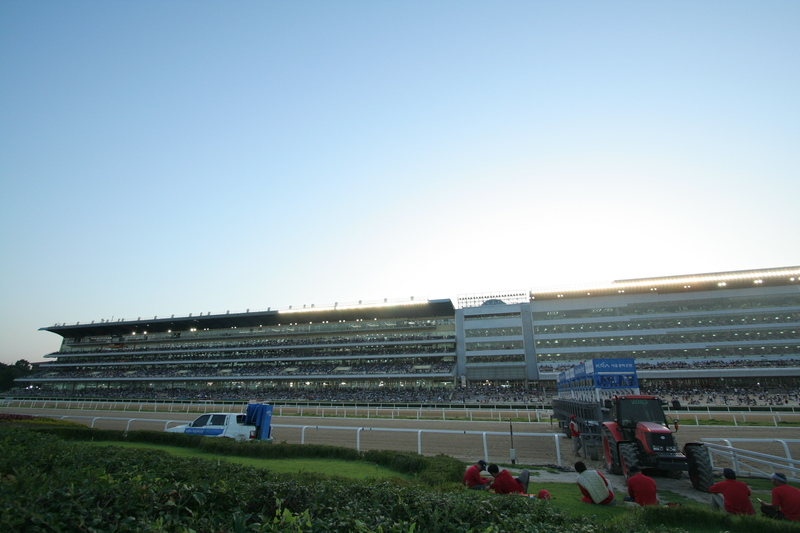 However, the pick of the action is on Sunday evening in the shape of the Seoul Economic Daily News Stakes. Ace Galloper (Chapel Royal) heads a strong field of domestic bred horses going over 1400 metres in the non-Stakes feature race and should be favourite to overcome 10 rivals, including former champion mare Love Cat (Volponi). Dangdae Bulpae (Biwa Shinseiki), the two-time President’s Cup winner, stunned favourites Smarty Moonhak (Smarty Jones) and Tough Win (Yonaguska), to win the Busan Metropolitan City Mayor’s Cup on a hot and humid night under the floodlights at Busan Race Park this evening. Smarty Moonhak ran second but Tough Win was a disappointing fourth. Punters sent off Smarty Moonhak as the 1/2 favourite with Tough Win second in the betting market at 3/1 against. Dangdae Bulpae was the next fancied at 9/1. 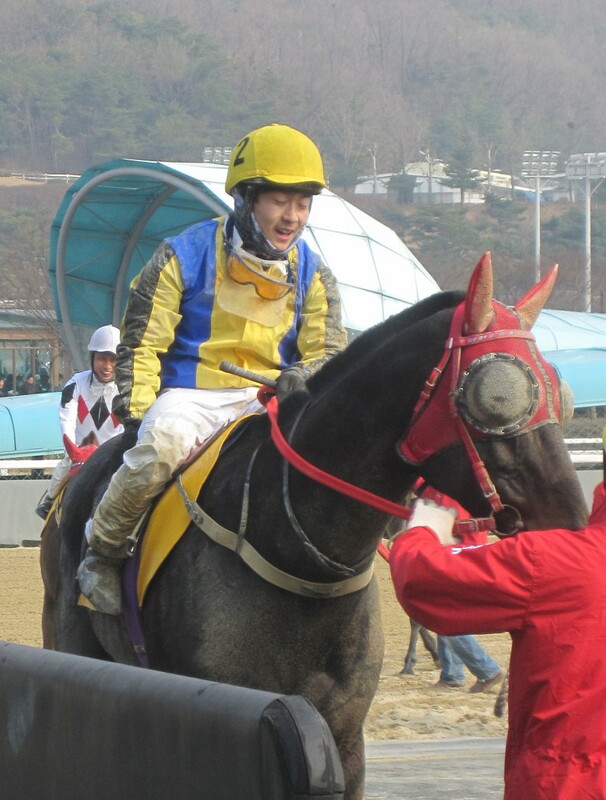 It was Dangdae Bulpae who was quickest out of the gate, jockey Jo Sung Gon harrying him over to the rail and into the lead heading into the first corner. Smarty Moonhak went with him. A year ago it was Tough Win who followed Dangdae Bulpae into the corner and the two began racing each other far too early and ended up taking themselves out of the race. This time they settled into a much more sensible – bordering on the slow – pace as they entered the back straight. It was then that things got interesting. As expected, Cho Kyoung Ho asked Tough Win to improve his position and as he did so, everyone else tried too. Entering the home straight, Dangdae Bulpae still had the lead with Smarty Moonhak on the rail and Tough Win coming down the centre. In the penultimate furlong Cho on Tough Win made his move and looked set to go past everyone. On the rail, Park Tae Jong did likewise on Smarty Moonhak. But Dangdae Bulpae was not for catching. Tough Win’s challenge stalled in the final furlong and he couldn’t improve his position while Smarty Moonhak, while faster than the winner just couldn’t make up the ground, Jumong finishing quickly to split the two favourites. It was a 15th career win for five-year old Korean bred Dangdae Bulpae, and his 7th Stakes victory, a Korean record. While everyone knew he could beat the best Korean bred horses, today for the first time, he beat the imported ones too. Dangdae Bulpae is now a true champion. Tough Win doesn’t like Busan. He won narrowly two years ago and was badly beaten last year. How much his bleeding attack in his last outing took of him is still unclear but he wasn’t at his best today. Then there is Smarty Moonhak. He ran well but, when chased after by his jockey for the first time in his career, he couldn’t quite do it. He was well placed in the home straight but surprisingly was found wanting. He will come back to Seoul and will be aimed at the season ending Grand Prix. So is Smarty Moonhak not as good as we thought or is Dangdae Bulpae better than we thought? Maybe both but a few months ago, most observers had Smarty Moonhak gradually improving throughout the year before winning the Grand Prix in December. He is ahead of schedule in that regard and is only three years old which in Korea, unlike in other parts of the world where the breeding shed is more important than the racecourse, is still very young. He has a long career ahead of him. With that in mind it is better for us, as fans of Korean racing to celebrate a great performance by an excellent Korean bred horse, Dangdae Bulpae. After Seo Seung Un’s recent triumphs in the USA, it was the turn of two more young Korean jockeys to open their accounts overseas today as Jung Dong Cheol and Yoo Gwang Hee both rode their first winners in Australia. Jung Dong Cheol (left) and Yoo Gwang Hee (centre) both rode winners in Australia on Saturday (KRA). The two first year apprentices, who are based at Busan Racecourse, both debuted in August last year and are in Australia as part of their ongoing training. Between them they won three of the five races on Saturday’s card at Longreach Racecourse, a small track, seemingly in the middle of nowhere, in Central Queensland. Yoo got things started in race 3 taking a half-length victory on 11/1 chance Vanguard (Chateau Istana) for trainer Charlie Prow. A race later he completed his double, riding Golden Portrait (Perugino), a 9/2 shot, to a two length win over Jung who grabbed second on 25/1 outsider Heza Flashman (Iglesia). Jung didn’t have to wait too long to get in the winner’s circle himself, claiming the fifth and final race on Sistabella (Hidden Dragon) by just under half a length. Since debuting at Busan last year, Jung has ridden 16 winners from 235 rides while Yoo has triumphed 7 times from 188. It’s time! The race that we’ve been waiting for all year will take place under the floodlights at Busan Race Park this Sunday evening as Tough Win and Smarty Moonhak square-off in the Busan Metropolitan City Mayor’s Cup. Informally billed as the Summer Grand Prix, it’s the climax of the first half of the season in the same way that the actual Grand Prix – at Seoul in December – rounds off the year. It was in the Grand Prix that Tough Win and Smarty Moonhak met for the first and only time to date. Tough Win won that day, with the late Mister Park beating the then two-year-old Smarty Moonhak into third place. Seven months on and things could very well be different this time. It’s not a match-race. Last year’s winner Yeonseung Daero returns to try to defend his title while double President’s Cup winner Dangdae Bulpae is also among a field of twelve who will contest the 2000 metre race on Sunday. 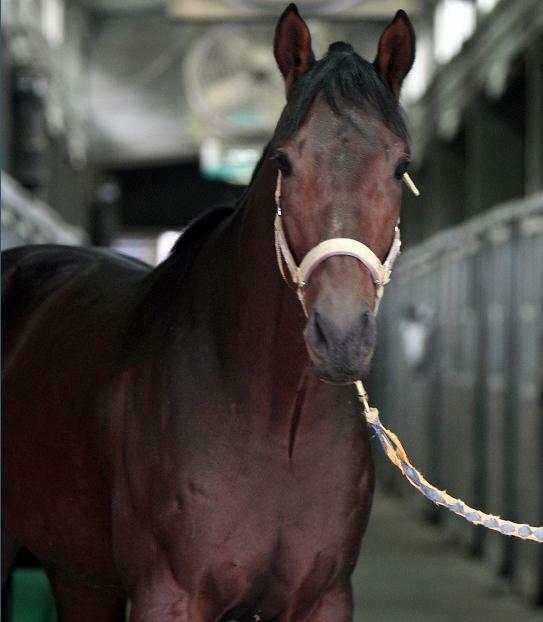 Reigning Grand Prix champion and the best horse in Korea at the moment. 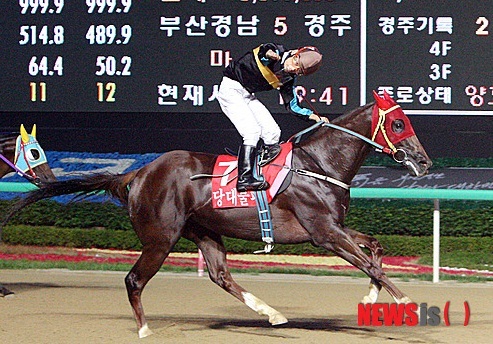 He won this race as a three-year old in 2010 but then last year inexplicably got sucked into an early speed duel with Dangdae Bulpae and was exhausted by the time he reached the home straight. That’s unlikely to happen this time as Cho Kyoung Ho has tended to keep him well back in the early stages of recent races. Tough Win suffered his first bleeding attack last time out while carrying a ridiculous 64kg and while the weight won’t be an issue here, just how much that race took out of him might be. He’s worked well though and is the one to beat. We still have no idea how good this colt is. Aside from his debut, the only time he has had to work in a race was in the Grand Prix and, bearing in mind the distance of the race and his tender age at the time, he wasn’t pushed. His races this year have been little more than public workouts. This will be his first run at Busan where the back straight is more undulating and the home straight longer than that at Seoul and how he deals with these will be key. With regular jockey Moon Jung Kyun injured, Park Tae Jong, who has ridden more winners than anybody else in Korean racing history, gets the ride. With no disrespect intended to Moon, this can only help his cause. 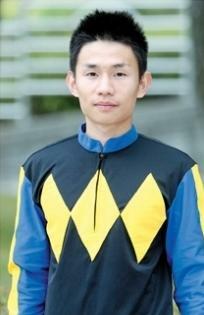 In Korea, jockeys wear their own colours, so Park will be wearing blue. Won his first nine starts but has only won once from three tries this year and has never even attempted further than 1800M. In Gerrit Schlechter, he has the track’s in-form jockey in board and the South African has picked this one over two others. His third consecutive year running in the race, he took advantage of the favourites’ mistakes to finish fourth last year. He will be hard pushed to equal that this year. 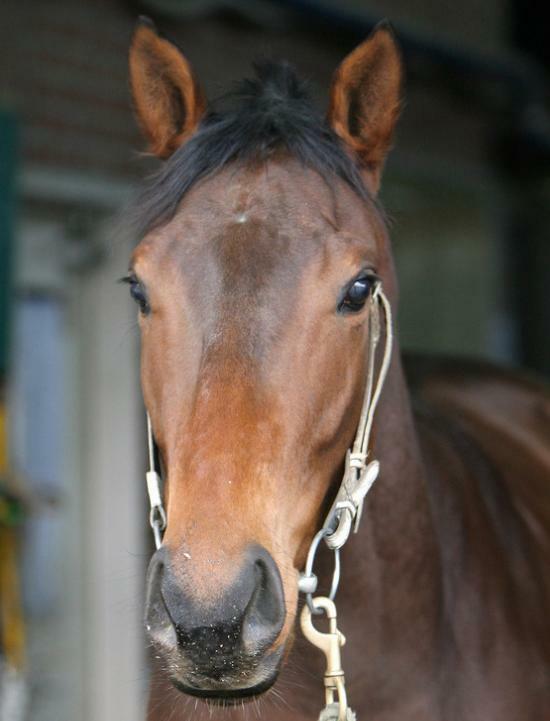 A wonderful horse, one of the best ever at Busan. Took full advantage of Tough Win and Dangdae Bulpae’s mistakes last year to claim a career capping victory and his been winning since. He can never ever be counted out. Smarty Moonhak’s work and stablemate, he’s here because there was space both in the race and in the horsebox on the way down. The only horse in Ko Ok Bong’s stable who can keep up with Smarty Moonhak in trackwork, he’ll not be able to in the race. Without a win this year but with plenty of talent. However, an outside chance of a place at best. Last year’s favourite and the two-time President’s Cup winner. An in-form Dangdae Bulpae should be able to live with anybody, including Tough Win and Smarty Moonhak. Whether he can beat them though is another question entirely. Looking at it objectively, the conclusion must be that he can’t. The only filly in the race won the KNN Trophy last time out but the fact that Gerrit Schlechter has decided to get off her may say somethng about her chances here. The wildcard. Lightly raced but very impressive, this may appear to be too much too soon. However, with Yukio Abe on board and a confident trainer (who also trains Lion Santa), he may be worth an outside bet for a place. A very solid competitor and half-brother to the late Subsidy, Jumong runs in all the big races. He looks overmatched but has every chance of finishing in a moneying position. Australian trainer Peter Wolsley lets his new stable star take his chance here, the grey was disqualified last time but otherwise was on a run of three straight wins inclusing two at class 1. Kim Yong Geun is an able rider and he may be worth backing for a place. Verdict: Tough Win is a very strong competitor and most believed that it would not be until later in the year that Smarty Moonhak would be able to challenge him. Neither has put a foot wrong this year but his progress has been such that Smarty Moonhak can be the one who leaves Busan with the title “Best Horse in Korea”. 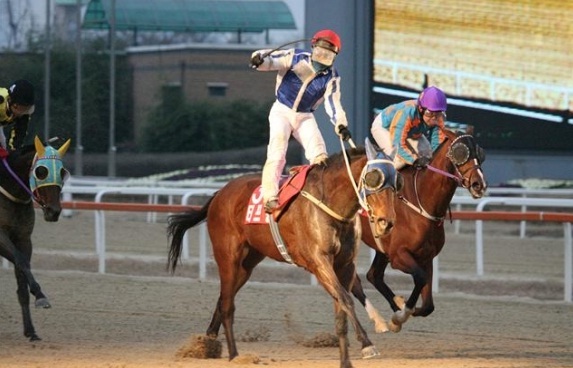 Apprentice jockey Seo Seung Un has had quite the career so far. He debuted in August last year – riding two winners on his first weekend – and went on to ride 25 more until he went to the USA two months ago where he rode three more winners. Now back in Korea, Seo will soon be on his travels again as he becomes the first Korean jockey to participate in the annual “Asian Young Guns Challenge” which will be held in Macau on August 4. Now in its fourth year, the challenge brings together some of the most promising apprentice jockeys from the Asia-Pacific region (and South Africa) to ride in a three-race series. The event was hosted by the Victoria Racing Club at Flemington in Melbourne in 2009 and 2011 and by the Singapore Turf Club at Kranji in 2010. 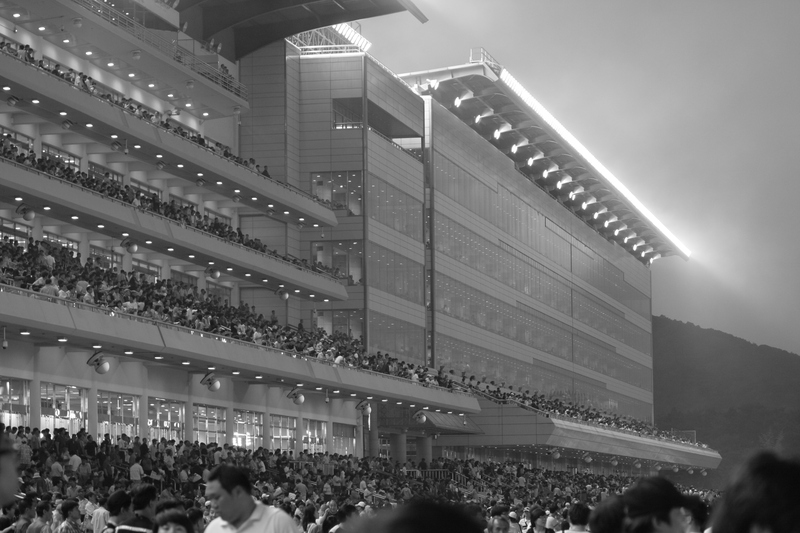 They will be joined by a local representative from Macau for the three races, two of which will be on turf and one on sand. KRA Jockey Academy Instructor Robert Moore will be accompanying Seo on the trip. Two apprentice jockeys scored their first ever career winners in the unlikeliest of circumstances at Seoul this past Saturday. Park Hyun Woo and Ahn Hyo Ri both graduated from the KRA Jockey Academy this year and debuted last month. Neither had won on from their few rides to date coming into last weekend but that changed as first Park and then later Ahn both rode long priced winners. Race 2 saw Park ride 280/1 chance Misojanchi to a half-length victory, overtaking champion jockey Moon Se Young on Jeilgosu in the final furlong. It was the longest priced winner at Seoul for some years and an encouraging performance in the saddle from Park who looked very much at home in the finish. Late on in the afternoon, it was Ahn’s turn. Her win came in race 8 on 53/1 chance Time Zone. Always well-placed, the pair overtook early pacesetter Vicar Summit in the final furlong and went on to record a relatively comfortable length and a half victory. Down at Busan another new apprentice was also riding a long-priced winner last weekend. Kim Hyun Joong, who debuted at the same time as Ahn and Park, got his second career victory on Sunday. And it was an impressive performance as, on 48/1 Busan Prince, he beat out South African rider Gerrit Schlechter riding odds-on favourite Gwangsok Engine by a nose in a photo finish.